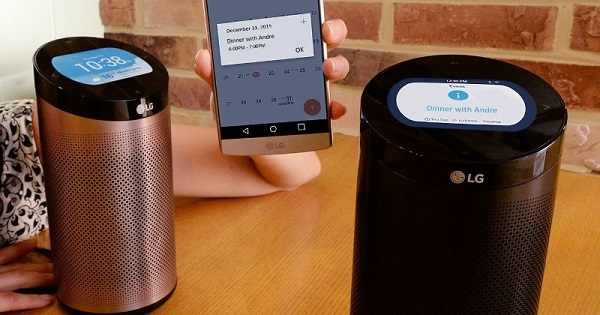 LG SmartThinQ Hub IoT with 3.5 Inch Display Announced, to be showcased at CES 2016. Happy New Year to all the TechnosAmigos.com readers, we have a quick announcement – TechnosAmigos Android App is available for download. 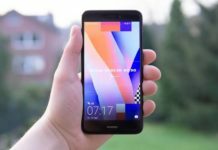 Moving on with 2016, Consumer Electronics Show [CES 2016] is lined up ahead of Mobile World Congress [MWC 2016]. LG is definitely gearing up to show up their electronics offering at CES 2016. 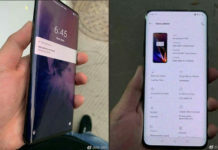 After Amazon Echo and Google’s OnHub router showcasing what IoT can do, the South Korean giant is getting ready for SmartThinQ Hub, a network device which has 3.5 inch display screen without any touch inputs and speakers integrated. Through the display you can see messages along side with speakers delivering the audio notifications. 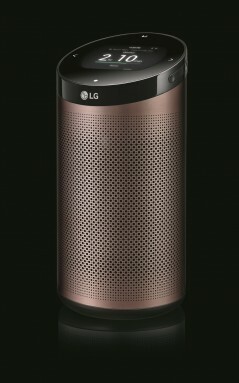 LG hasn’t revealed any availability or price details of SmartThinQ Hub but it will be available in Champagne Gold and Black color finishes.